There are many advantages to becoming a Dive Professional, but the best part is helping to create the next generation of divers! Being part of training dives, teaching specialty courses, and guiding new divers on fun dives are just part of a Dive Professional’s job. You will learn how to be an effective dive leader and the basics of teaching diver skills. Plus you get paid to share the sport you love with new divers! The SSI Dive Guide is the newest addition to the SSI Professional Program. Dive Guides can lead and guide certified divers on Fun Dives. Additionally, after passing the Snorkeling Instructor program, a Dive Guide can teach and issue Snorkeling Certifications. Locally, our Dive Guides teach and help with our Abalone Diving classes. Dive Masters can perform Try Scuba’s in the pool, assist with SSI Instructors with pool, and some open water training for both Open Water Divers and Specialty Courses. In your role as a Dive Master you will take charge of groups and lead certified divers underwater in addition to assisting with classes. The tuition for the complete Dive Master Course is $294.50, the required student materials are $199.95. Dues to SSI at this level are $70. Having the right knowledge is just as important as having the right dive equipment! The Science of Diving program treats all areas of dive theory to a detailed and comprehensive manner: physics, physiology, decompression theory, marine life and diving equipment. This is the same level of knowledge professional divers need to have, now in a specialty any diver can take! The Science of Diving Specialty Kit is $49.95 and the Tuition for the course is $99.50. The SSI Dive Control Specialist (DiveCon) is both a Dive Master and an Assistant Instructor in one rating. The program teaches you to become an effective diving leader. During the course, you will study advanced diving academics and develop leadership-level diving and rescue skills. As an Assistant Instructor, you can become part of the team that teaches SSI Diving Programs; assisting instructors in the classroom, pool, and open water. 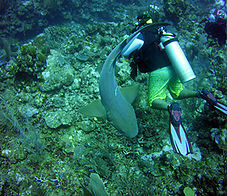 You also can independently teach Skin Diving Courses, Scuba Skills Updates Courses, and some SSI Specialty Courses. This is the Black Belt of Scuba Diving. Upgrade your Dive Master certification to the Dive Control Specialist rating for $195. Tuition for the entire Dive Control Specialist Program from scratch is $450, and the entire student home-study kit is $249.95. Dues to SSI are $70. Usually coursework includes 2 to 4 days of academics, pool/classroom teaching with open water students, and ocean observation and internship. Candidates must be certified as an Advanced Open Water Diver, have completed a Diver Stress and Rescue Program, be current in CPR/First Aid and Oxygen Administration, have logged at least 50 dives, and must complete a watermanship evaluation. Active Dive Professionals are required to carry Professional Liability Insurance as well, which can be obtained on your own or through our store. Please give us a call for all the details and to get started in the rewarding world of being a Dive Professional!